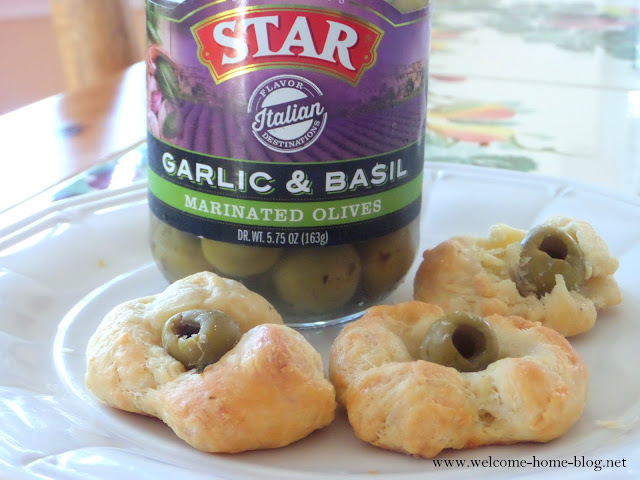 I like to plan ahead when I have a fun gathering of friends over for a Super Bowl party and this year Star Fine Foods made it super easy for me with their new Flavor Destinations: Italian Garlic and Basil Marinated Olives. They are delicious! Let's face it, half the fun of a Super Bowl party is eating all those snacks and appetizers, right? But I want to have fun too and so instead of staying in the kitchen all day, I like to make my appetizers ahead of time and freeze them. Then on the big day, I can take them straight from the freezer and pop them into the oven for a quick bake and serve. 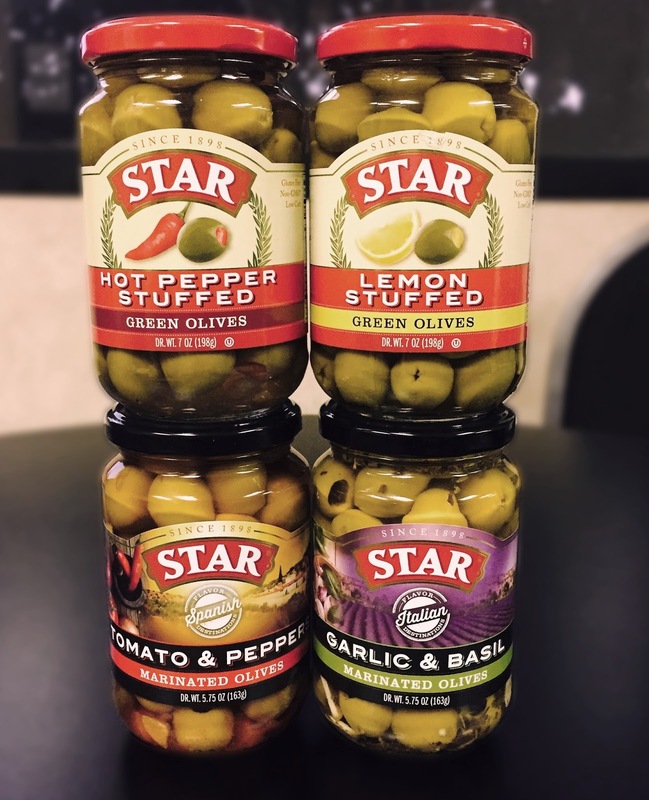 I have made this delicious Super Bowl party appetizer for years and now with these new olives from Star Fine Foods, they are even better! 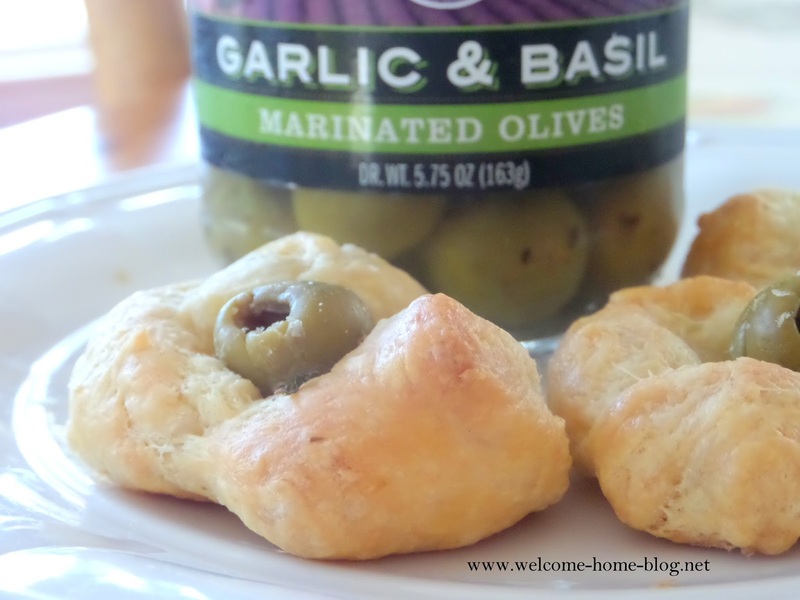 There's something about a warm puffy, cheesy pastry wrapped around a juicy olive with just a hint of basil and garlic. YUM! In a food processor, combine shredded cheese, butter, flour, and salt. Process until you have a loosely formed, soft ball of dough. 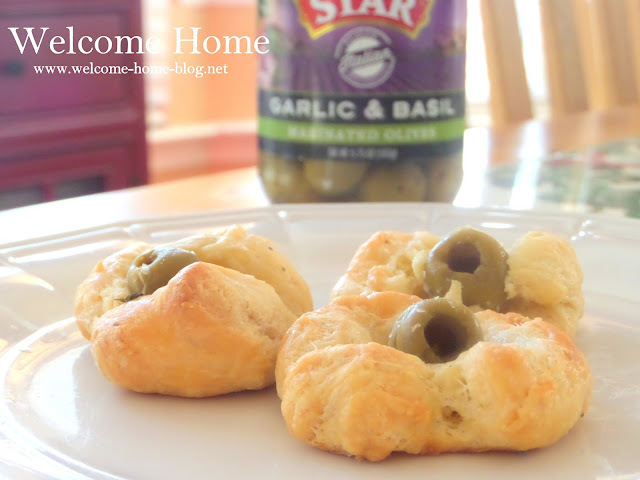 Pinch off enough dough to wrap each olive. 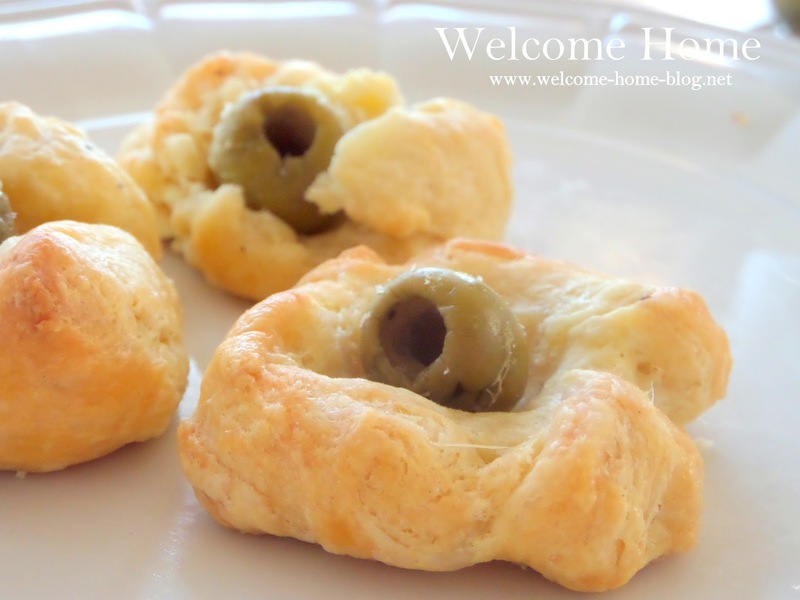 Using your hands, form a hollow space in the dough, place olive in the middle, and wrap dough to cover half of olive. Place on an lined baking sheet. Brush with egg wash and bake for 15 minutes or until lightly browned. So far I've tried Star's new Hot Pepper Stuffed Olives, the new Lemon Stuffed Olives. 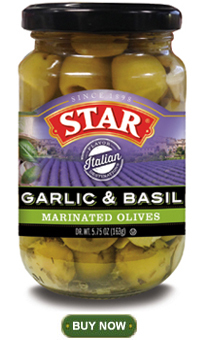 the new Flavor Destinations Spanish (Tomato & Peppers) Marinated Olives, and of course the new Flavor Destinations Italian Garlic and Basil Marinated Olives. And I love them all!